Spirit: Routine, Moral, Childish, Communication. Places to visit: New York, Russia, Slovenia. Things to learn: Using the Telescope, Modern Dance, Reiki. 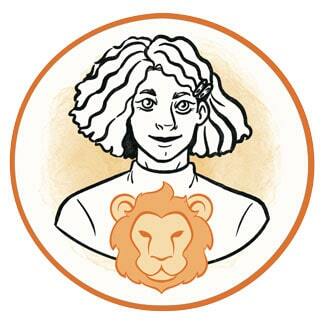 This year seems to have one sole purpose in lives of Leo representatives, and that is to point you towards other people and relationships that are important in your life. Expectations won’t prove valid in the real world and just as much as disappointments are possible, you can expect positive surprises along the way. Torn between work and family, obligations and your need for rest, it is possible that other people will provide the answers you seek and make you stronger in the following months. Your inventions and new ideas will work only if you are brave enough to see them through. Every fear that seems blurry in the beginning of the year will intensify and could lead to psychosomatic problems if you don’t deal with it in time. Give yourself time for everything you wish to do, realizing that nothing is impossible if you put your mind into it, plan, and organize well enough to succeed. Strange things will jump out of the shadows, but if you stay calm and alert, you will set free, move on from pressure, and find yourself in the position you wanted to be in for a while. 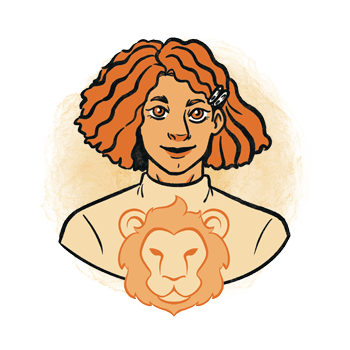 The past couple of years have been an intense period of work on your inner guidance and your creativity, but Leos that haven’t set up a solid foundation to do what they love have to face the pressures of obligations and undesired activities. Health issues could become chronic or serious, and your body is in serious need of rest. Sleep enough, stay in touch with Nature, and obstacles will get smaller and easier to avoid. Communication has special value in 2018 and you are about to find the right way to express your individuality and your true inner Self. Surrounded by good company and many people who understand you, it will feel like you are supported by your tribe and sharing the same cause with individuals who are just as special as you are. This is an uneasy year for your physiology, when too much activity will leave you drained, depressed and in a complete immunity drop. Chronic conditions could return and problems with your spine are possible if you don’t exercise and stay on the move in your daily routine. Mental work influences your state of energy and makes you tired, and too much has to be carried around to be handled in your usual routine. Change something in your diet to burden your stomach less, and see your goals through giving your body time to adjust to changes in circumstances, in your family and your home. It is important to find a form of balance in all your activities or you might hit the wall and fall ill as if only to rest forced by the circumstance. Fulfilling times and wonderful things will happen in your home and your intimate bonds. Some of you might decide to start a family while others find their purpose in trusting relationships they built by now. Stay honest and true, for your moral imperatives shape your entire emotional world and make you restless or calm. June brings new love stories your way and this is the period when many single Leos will fall in love. Try to hold on to positive emotions as the autumn approaches, for stories and emotions from the past tend to resurface and might shake your newly formed bonds that you believed were perfect for the first several months. It is a year of moving back and forth, but for as long as your home is filled with love and safety, you will be joyous and happy with close relationships you nurture. Although your financial situation tends to improve in 2018, hard work is necessary to keep the income and hold on to positions that might seem a bit demeaning for someone like you. Working for other people and taking over tasks that are far below your level of expertise or education, you could find yourself burdened by responsibilities that were never yours to take. Delegate what isn’t yours to handle and try to hold on to a structure that is healthy and supportive of your personality. With Saturn in your sixth house, hard lessons have to be learned about modesty and your place in the collective and among colleagues that wear you down. Keep your boundaries clear and take on what your body and your heart are ready to deal with, instead of breaking too many boundaries to prove your worth or your expertise. If you are in the right place for your sensibility and character, everything will fall into place anyway.